HAKODATE, Japan - A Japanese court gave three Taiwanese women suspended sentences Wednesday after finding them guilty of attempting to smuggle gold worth 50 million yen ($453,000) into the country by hiding it in their bras. The Hakodate District Court in Hokkaido handed down one-year prison terms to Qiu Shu-fen, 47, and her 20-year-old daughter Qiu Yu-ting as well as Zhang Hui-ying, 47. Each woman's sentence is suspended for three years. Presiding Judge Takeshi Hashimoto said in the ruling, "There is no room for leniency as the three committed the crime with a motive to receive money" but added that the sentences were suspended as they have shown remorse. 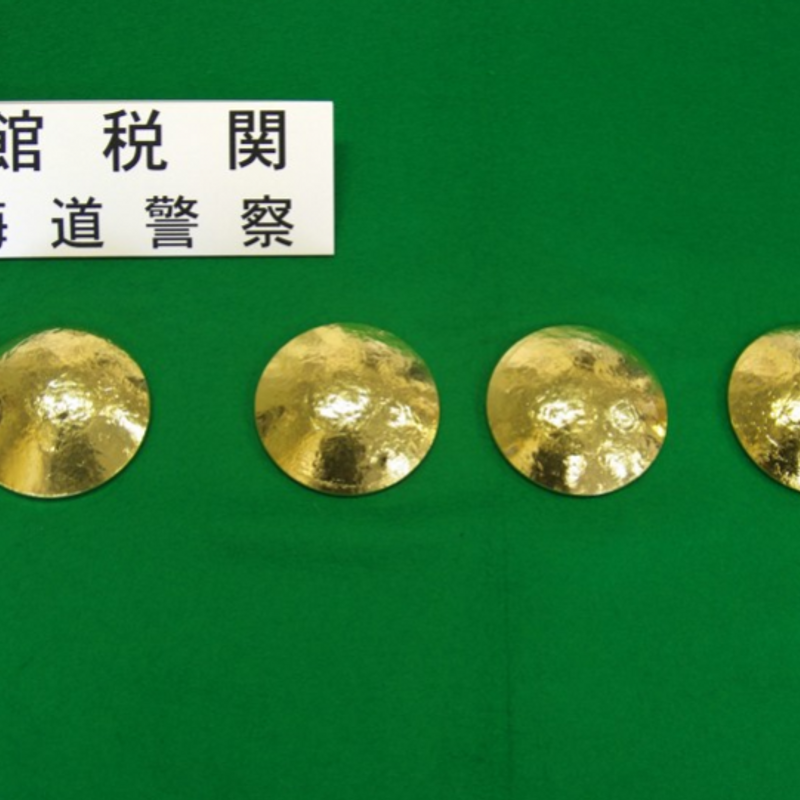 According to the ruling, the three women were carrying two pieces of gold hidden in pockets attached to their bras when they arrived at Hakodate airport from Taiwan's Taoyuan International Airport on Nov. 11. Each piece of gold, which was confiscated by the authorities, was 11 centimeters in diameter and weighed around 1.75 kilograms. Prosecutors sought one-year prison terms and the confiscation of the gold, claiming the defendants had been offered travel expenses to Japan and NT$20,000 ($670) in exchange for taking part in the smuggling operation. Defense lawyers, meanwhile, sought suspended prison terms, arguing that the three had merely transported the gold.